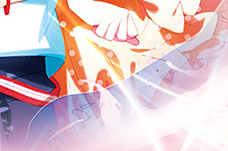 You reached The Place where Everything begins, the fanlisting dedicated to the relationship between Amata Sora and Mikono Suzushiro, the main characters of the series Aquarion Evol! This couple is one of my favourite among all the anime series I know. 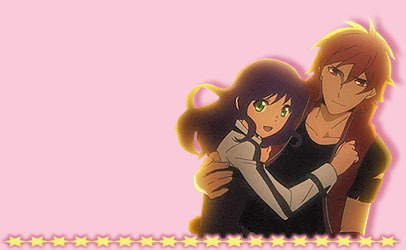 I love deeply both Amata and Mikono because their relationship is one of the most romantic I've ever seen. Their love is immortal and their bond is deeper than any other. Amata fought against his destiny and against everything he could in order to be together with the person with whom he wanted to stay forever. Every time I saw an episode of this series, I was really involved with them and what they were going to do, and indeed, worried for what was going to happen. Their relationship was absolutely the best of the series, and never for granted. Aquarion Evol and related characters are property of Yūsuke Yamamoto, Mari Okada, Satelight and TV-Tokyo. Layout and contents are ©Miriallia do not steal or reproduce~ Unless they're scanned/made by me, all the images I used are from Google.com, if you think they belong to you, just drop me an email, I will credit you~!